Both counties are thriving as new residents and businesses arrive daily. Growth in Lake and Sumter counties has been steady and prolific. Many empty buildings are being filled with new shops, restaurants, and entertainment venues. All of this is carefully monitored by city and county governments to ensure the beauty of Real Florida remains the prominent feature. Construction work on a new public safety complex at the intersection of West Caroline Street and Lake Shore Boulevard is expected soon, according to City Administrator John Drury. The complex will house the city’s police, fire, and emergency management facilities. The architectural design was financed with a state of Florida grant. After the damage incurred by Hurricane Irma, the seaplane base and marina in Tavares is being rebuilt. There was extensive damage to the docks and fuel systems and several boats sank, but salvage is completed. The Ruby Street Entertainment District, including the Ruby Red Brick Promenade, will be finished this year. Next on the list of future projects is a site for a new performing arts building. The Community Redevelopment Agency recently added art to Cadwell and Larkin parks, according to Karen Howard, CRA coordinator. 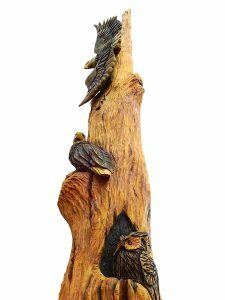 Rot and bad limbs on trees in the parks were cut away, and chainsaw artists created animal scenes with the remains of the trees. More money is budgeted for additional carvings to continue them for years to come. The city is working with the Umatilla High School Digital Design Team to create URL codes for the carvings so people viewing the trees can find information about the artists at umatilla.org. The Florida Department of Transportation (FDOT) is resurfacing State Road 19 through Umatilla and adding bike lanes. FDOT initiative to purchase two hangars at the southwest end of the airport on private property. 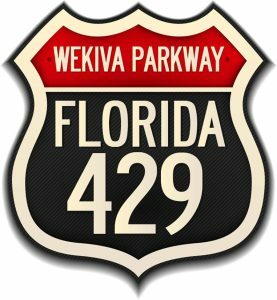 From the office of city manager of Mount Dora comes news about the Wekiva Parkway (State Road 429) project, which will connect the parkway to State Road 417 to complete the beltway around Orlando. While protecting natural resources is imperative, the project includes widening seven miles of State Road 46 in Lake and Seminole counties; rebuilding the U.S. Highway 441/State Road 46 interchange in Mount Dora; shifting the County Road 46A connection to State Road 46 to allow wildlife to move safely between habitats; providing non-tolled, one-lane service roads that parallel the parkway; and adding a multi-use trail along portions of the parkway in both counties. 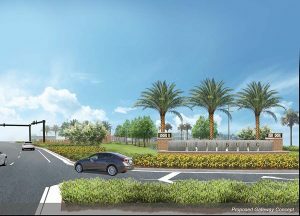 In Mount Dora, the new exit ramp is near the Wolf Branch Innovation District, pleasing city government. The certification is ongoing, and indications are Mount Dora is ahead of schedule with development and marketing. According to commission meeting notes, Leslie Campione, vice chairman of Lake County commissioners, proposed a plan to ask FDOT to pay for improvements to help Mount Plymouth better prepare for the traffic resulting from this change. The remaining commissioners are on board with this project, and once the plan is prepared, it will be among the county’s priorities for the Florida Legislative session beginning this month. The central downtown business district as well as residential neighborhoods to the north and east are scheduled for redevelopment, according to the city’s 2016 Redevelopment Plan. This will incorporate a 1.5-square-mile area, which also includes many vacant properties available for mixed-use development. ViaPort Florida Mall has been purchased by Village Lake Promenade, according to Mark Stephensen, marketing director. 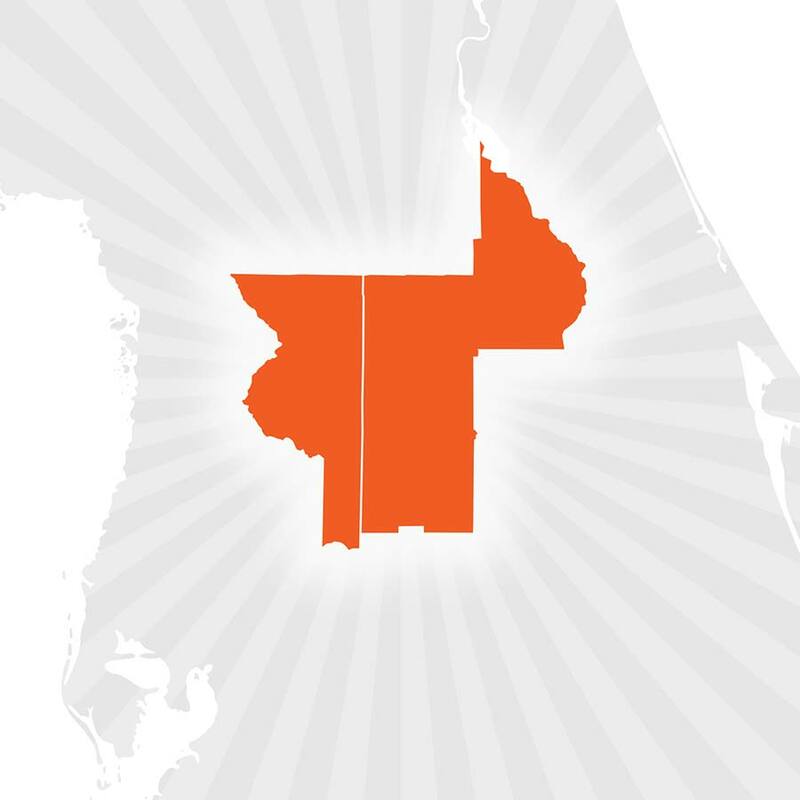 The Pompano Beach company specializes in renovating and revitalizing retail properties. The mall will resume its familiar name of Lake Square Mall as a new façade is built and inside renovations begin. Meir Benzaken is owner of the company and has reported there will be at least five new tenants, and plans are in the works to add seven standalone stores to the property. This project includes landscaping improvements and a gateway feature at the intersection. The FDOT awarded a $250,000 grant to help fund the project, and the approved budget for the city is $689,500. Construction should be complete in late spring. Work began in August on the FDOT Dixie Avenue Complete Streets project, which runs from U.S. Highway 27 to Main Street. Improving access to the road for all drivers, transit users, pedestrians, and bicyclists is the primary goal of the project. 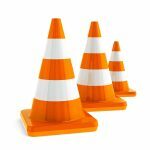 It will include enhancements such as a concrete median to separate opposing traffic, road resurfacing, and improvements to sidewalks and landscaping. The total cost is approximately $4 million, and construction should be complete in late summer. Last summer, construction began for the Leesburg Resource Center, which will soon be completed. The multi-purpose facility has meeting rooms, computer-training space, a kitchen, resource offices, and a central meeting hall. It is intended to be a family-friendly place offering services and enhancing education and employability skills for residents. This project was done through partnerships among nonprofit organizations, government agencies, churches, and civic groups. For Phase III of the Venetian Gardens Master Plan, the final design for a new one-story community building has been approved. The 27,000-square-foot building includes a lobby, meeting rooms, a grand ballroom (seating 485), and an outdoor porch. Design completion is expected by this winter. This also makes way for restaurants and a marina upgrade. The estimated budget is $5.69 million. 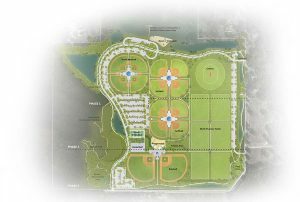 In addition to a new pedestrian bridge connecting Rogers Park to the other islands, Phase II of the Venetian Gardens Master Plan includes a paved road, parking, boat ramp, boat dock, truck and trailer parking, public restrooms, sidewalk decorative fencing along Lakeshore Drive, decorative lighting, landscaping improvements, and a pair of pad-ready restaurant building sites. The airport is becoming multimodal with the addition of a seaplane ramp to allow access to the airport from Lake Harris. 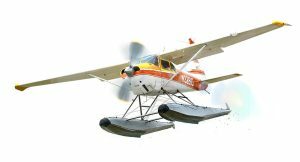 This creates more business opportunities for airport tenants that provide services to amphibious aircraft. Completion is scheduled for early to mid-spring. Construction is progressing on HarborChase of Wildwood, a beautiful assisted-living community which is expected to open this spring, according to its website. The assisted-living and memory-care community at 7046 Powell Road will feature spacious courtyards and porches, a rooftop terrace, living rooms with hearths, and beautiful countryside views. There also will be a full-service salon, bistro, cocktail lounge, and chef-prepared cuisine. The largest credit union in northeast Florida, VyStar, is the latest addition to the mixed-use development Trailwinds Village on County Road 466A. Anchored by home improvement giant Lowe’s, the site will include an Aldi, ABC Fine Wine & Spirits, and Circle K gas station. There’s space for two more anchor stores, and plans for the west end of the property include 10 small office buildings and a three-story storage building. The east side will include medical pads or parcels, according to the website of the Barclay Group, which is working with property owner Tommy Word of Word Family LLC in Gainesville. 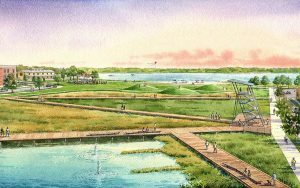 The first phase of Clermont’s master plan will be finalized with Victory Pointe Park opening in the spring, says Tracy Jacim, director of communications. This also includes Downtown Waterfront District projects. In addition, a number of new businesses will be opening in the area. Lucky’s Market opens in March, making Clermont the only city in Lake County with a national credit tenant organic store. Homegoods, AtHome, First Watch, Growler USA, Home 2Suites, and Vista Radiology also will open this year. The ribbon cutting for the South Lake Hospital campus expansion will be held this summer, and Lake-Sumter Collegiate Health Science Academy graduates its first class.